Finding the right balance of fats and water during pregnancy is crucial to the health of the developing fetus. One of the best fats to include in your diet is omega-3 fats, as they will not only benefit you as the mother, but also the growth of the child. It is also vital to stay hydrated throughout pregnancy to keep all body functions continuing as normal. Scientific research continues to expand our knowledge of the nutritional needs during pregnancy. One of the most recent developments is the importance of omega-3 fatty acids during pregnancy. Omega-3s provide essential nutrients for both health and development. Because they are not synthesized by the human body, they must be obtained from either the diet or supplementation. Consuming Omega-3 fats is essential to maintaining the balanced production of a group of physiologically active lipid compounds called prostaglandins. These help regulate many bodily functions including blood clotting, blood pressure, nerve transmission, kidney function, the inflammatory and allergic responses and the production of hormones. High doses of omega-3s have recently been used to treat and prevent diseases such as mood disorders, cancer, rheumatoid arthritis, inflammatory bowel disease and other autoimmune diseases. Omega-3s are essential for neurological and early visual development of a baby. However, our diets tend to be severely deficient in this critical fat. This fat deficiency is increased by the fact that pregnant women are depleted of the omega-3s that they eat because the fetus uses them for nervous system development. Omega-3s are also used following the birth of the child to create breast milk. Each subsequent pregnancy causes the mother to become further depleted. Studies have shown that adding omega-3s to a pregnant woman’s diet has a positive effect on the visual as well as the cognitive development of the baby, and may also reduce the risk of allergies in infants. Omega-3s also have positive effects on a pregnancy. Increased intake of omega-3s has may lower the risk of preeclampsia, prevent pre-term labor and delivery and may increase the birth weight of the baby. However, a deficiency in omega-3 increases a mother’s risk of postpartum depression. The best sources of omega-3s are cold water, fatty fish such as salmon, sardines, tuna, herring and anchovies. Because pregnant women need to watch their intake of mercury, it is best to take a purified fish oil supplement to get these fats into the diet. A high-quality supplement can deliver the health benefits of omega-3s without risking toxicity. While many people believe they can get omega-3 fatty acids from plant sources, such as flaxseed, those sources contain a shorter-chain omega-3 that is less effective than EPA and DHA. The body needs omega-3s from an animal source for optimal health and development. A high-quality fish oil is safe for pregnant women. Because fresh fish may contain environmental toxins, this risk can be eliminated by taking a high-quality supplement. Both fats and water are very important for pregnant women. It is essential for pregnant women to stay hydrated for several reasons. Water helps the body to absorb all of the nutrients, vitamins and minerals from food and supplements that expectant mothers are consuming. Bringing these nutrients to the blood cells then reach the placenta and the baby, giving the baby what it needs to grow. While pregnant, you need more water to keep your system efficiently running for both the mother and the baby during pregnancy. 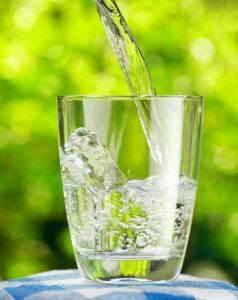 Studies have shown that pregnant women should typically aim to drink 12 to 13 8-ounce glasses of water each day. This is slightly more than the recommended amount for non-pregnant women. Space out your drinks throughout the day to give your body the time it needs to absorb the water and not just pass it quickly through the system. Pregnant women should sip water before, during and after exercising or sweating to replenish the fluids that have been lost. Drinking enough water during pregnancy will help to distribute the essential fatty acids throughout the body and to the developing baby. These two elements of a diet in conjunction with each other will help lead to a healthy pregnancy and delivery.